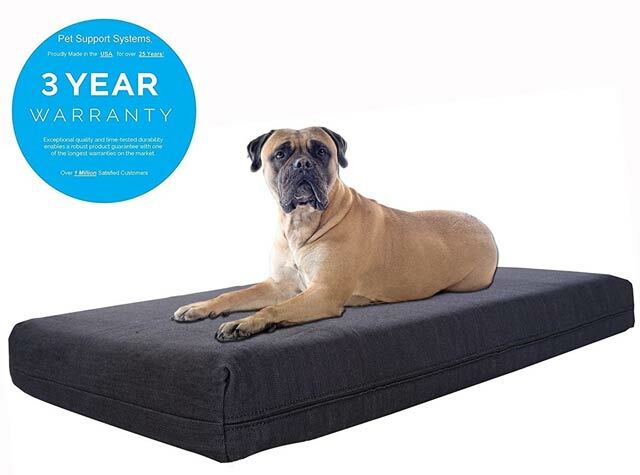 Four inch thick orthopedic memory foam dog bed with water resistant liner and temperature regulating materials for maximum comfort during recovery and any season, all year round. 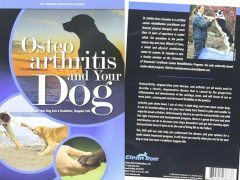 Why are Pet Support Systems dog beds hands down the best orthopedic dog beds you can buy? Because these pet beds are born from the same research and experience as our high end luxury therapeutic mattresses ($2500 – $5000) sold in luxury retailers across the globe. What you should know when purchasing a quality dog bed? 1. Foam – None of our competitors on Amazon are using US made certified foam which means they are using imported foam (most likely Chinese). In order to make money they have to use an inferior, cheaper foam, which means it will break down much quicker than our Certi-Pur foam and your Pet Support Systems bed will last far longer without degradation. Also, the imported foam has very little to no regulations and often has a b (sometimes toxic) odor (check our competitors reviews), ours does not as it is certified non-toxic. 2. Construction – You are looking at an XL dog bed which means your dog probably weighs a lot. Your dog requires comfort and support and that is why it is necessary to have a 2″ HR support layer and 2″ memory foam comfort layer. You do not want a 4″ all memory foam dog bed (especially imported memory foam that is not really even a 3lb foam). 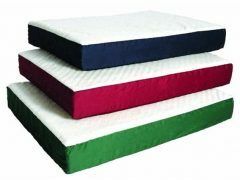 We use a real 4 lb memory foam on top of a truly supportive base foam that will last for years. One feel of our beds and you will recognize the difference. The result, a scientifically supportive bed for your aging dog, great prevention for your puppies as well. 100% Satisfaction Guarantee as well as a full 3 year materials warranty. 100% Made in USA – Making the Safest, Supportive Bed your dog will Love! 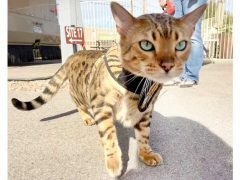 Top Rated! 74% 5-Star Amazon Rating. Find best Premium Dog Beds price and more customer reviews on Amazon. 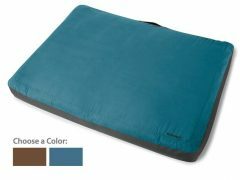 Be the first to review “Thermoregulating Orthopedic Foam Dog Bed” Click here to cancel reply.